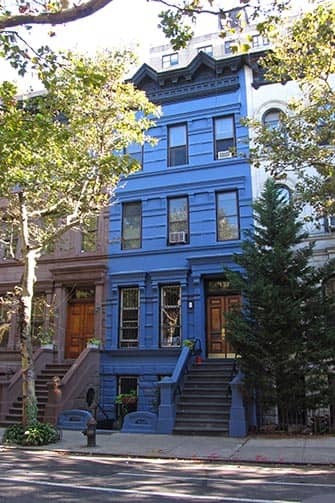 A nice neighbourhood to live in is the Upper West Side. Roughly it is that part of Manhattan West of Central Park. There are those that say that it ends at the top of Central Park (at 110th Street) whereas others include the 110th to 125th Streets, right up until Harlem. This bit hits Broadway and 111st Street (the area is called Morning Side Heights) and although Columbia University dominates the neighbourhood, you hardly notice the transition of neighbourhoods. The Dutch were the first to give the beautiful area from (now) the 23rd Street all the way to the 124st a name: Bloemendaal (now Bloomingdale). The rich lived here and there were a number of farms. Hard to imagine now! Central Park was built in 1853 and many residents moved West, which became a lot busier prompting a train to the North to be built as well as the subway. The Ivy League University of Columbia opened in 1890 in the Morning Side Heights, adding to the allure of the neighbourhood. During the same time, the illustrious Dakota building was built where John Lennon lived (and where Yoko Ono still lives). 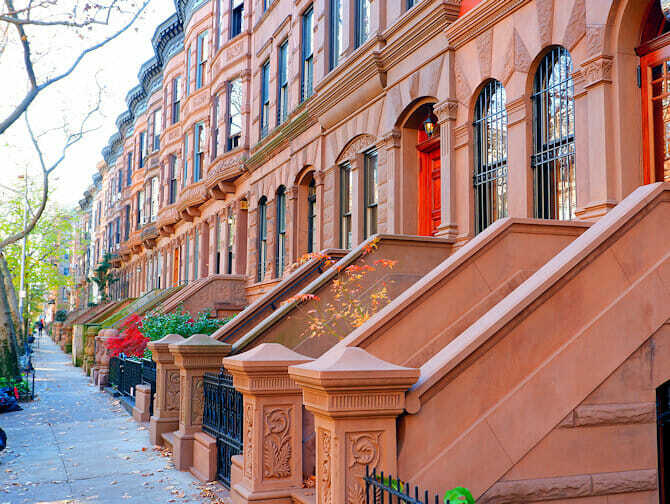 The Upper West Side is a relaxed and very diverse neighbourhood. There are lot of Jews that live here, which means that (especially between 85th and 100th Street) there are a lot of synagogues and a lot of places where you can eat kosher. There are also a lot of intellectuals. A group of baby boomer graduates from the ’70s and ’80s bought spacious apartments for relatively little and stayed around. 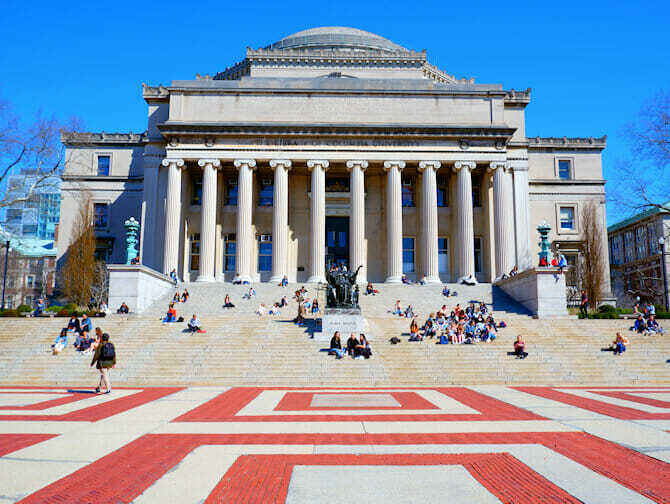 To the North, towards 116th Street there are many students and professors from the ever expanding Columbia University. This university mostly attracts “nerds” whereas NYU is known for the cool hipsters. Do not be surprised if you see a young twenty something wearing a pair of glasses and a large Columbia sweater, leggings and Uggs looking sternly: people study hard, and that is as expected as tuition here is ten thousand dollars a year. 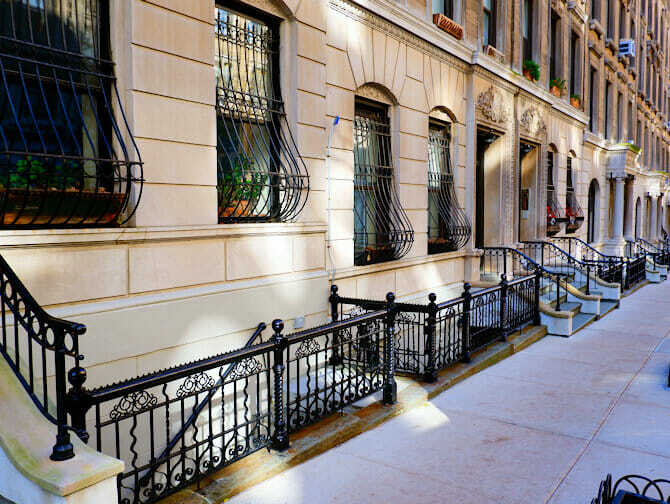 A lot of residents of the Upper West Side walk west when going to a park rather than to the east where Central Park is located. 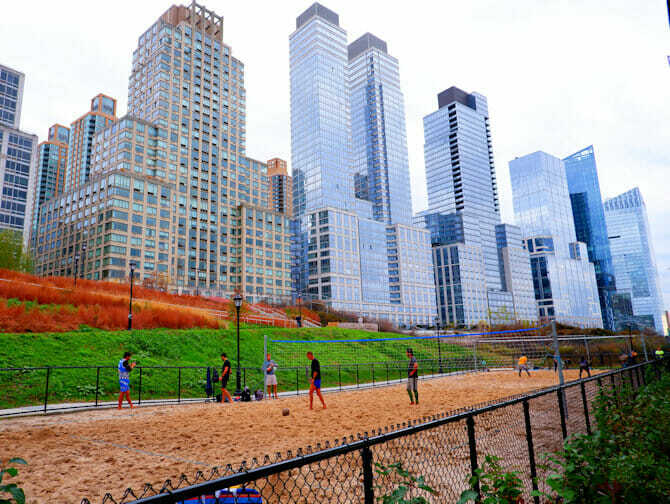 Because in the west, alongside the Hudson between 72nd and 129th Street, there is a small very long park with an amazing view of the Hudson. The shape resembles a little of Chile, South America. It is very beautiful during sunset in the summer, to enjoy the river breeze. Many films and TV shows are shot here, by Woody Allen for example. The only Ivy League university of New York. Very well ranked. For the real nerd: Nobel Prize Winners teach here. A visit to the most important campus is certainly worthwhile. Do not be alarmed by the security, just walk casually onto the terrain. Take the subway 1 Uptown to 116th Street and follow the herd of students. 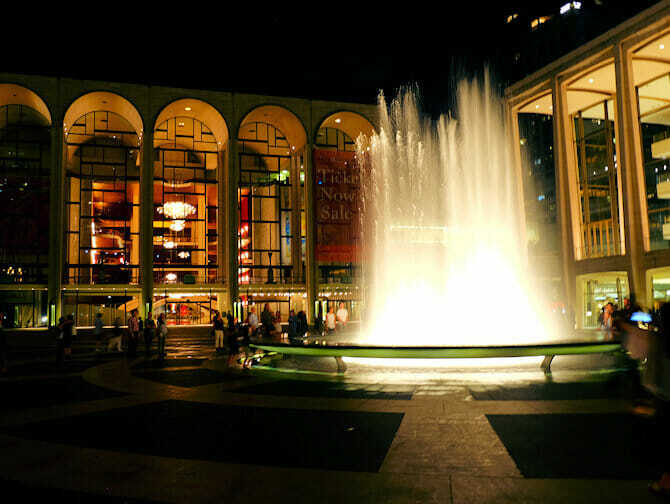 Lincoln Center is the home of the world’s leading Performing Arts Center. Located in the west side of Manhattan, near Midtown, it is easy to reach by public transportation and is the centre of cultural events and entertainment including the Metropolitan Opera House, New York City Ballet, Julliard, New York Philharmonic and much more. Lincoln Center is a whopping 16 acres and was built in the ’50s and ’60s of last century. Today, thousands of visitors enjoy what Lincoln Center has to offer: tours, discounted tickets, shops, exhibitions as well as world class opera and ballet entertainment. Do you like churches? There is a very big one on 110th Street and Amsterdam Avenue. A number of services are given a day and you can just walk in otherwise. Hungry? Diagonally across from the church you will find the Hungarian Pastry shop. Probably the most sympathetic coffee shop with pastries in New York (the Bakery next door is also part of the same company). If the weather is good you can enjoy your food in the park next to the church, trying to figure out the meaning of the statue. Great to combine with a visit to Columbia University. A great place is Community, a nice modern restaurant on Broadway between 112th and 113th Street. Craving Eastern cuisine? Next to Community you will find a good Korean where you can dine for a couple of dollars.